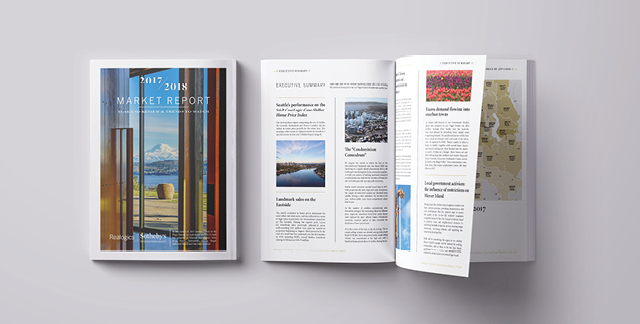 Another year has passed, as have many pivotal milestones for Realogics Sotheby’s International Realty and the local housing market that we serve. The Seattle/Bellevue metro area led the nation all year with median home price increases, according to the S&P CoreLogic Case-Shiller Home Price Index and despite the anemic inventory levels, our brokerage generated $1.5 billion in sales volume – the greatest such production on a per-broker basis compared with the top ten largest real estate brands in the Northwest Multiple Listing Service. 1532 3rd Avenue W, Seattle This grand 1907 Foursquare is a true architectural gem & a diamond in the rough awaiting the new owners personal signature. Period details include exquisite tulip-patterned stained glass windows, Craftsman millwork, mahogany inlaid oak floors & bowed windows. 5 large bedrooms up and a 6th bedroom with its own entrance. Unfinished 3rd floor offers 12-foot ceilings at the peak with dormers to suit your personal vision. 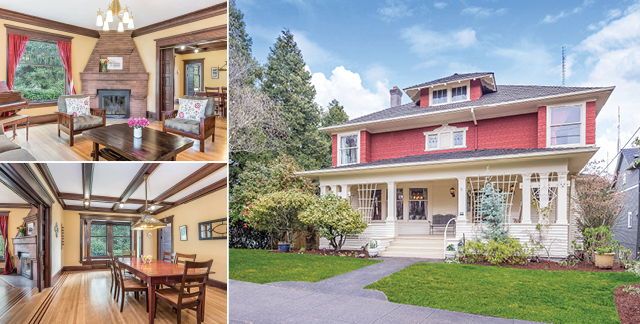 Sited on a sunny corner lot simply blocks from the eclectic shops, cafe's & parks. Offered at $2,295,000. 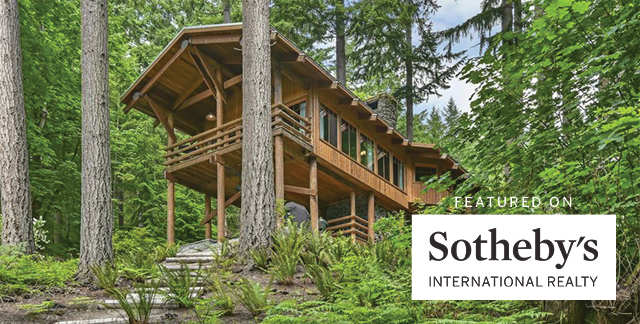 I am so proud that my Treehouse listing in Quilcene was highlighted by Sotheby's International Realty Affiliates for Earth Day! 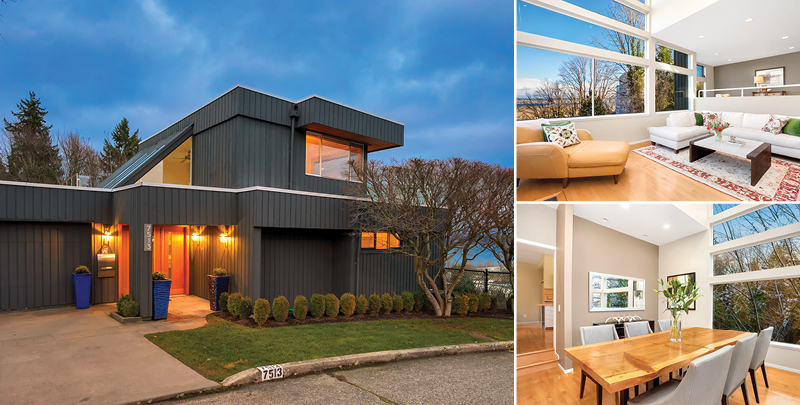 Designed by award-winning architect Tom Bosworth, this waterfront home is a hidden treasure of cedar, glass, and stone. Take a peek inside. 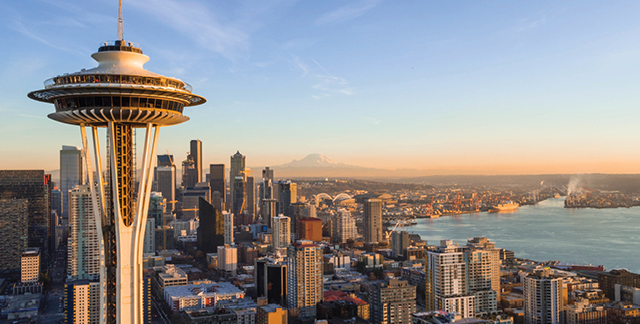 According to a recent Mansion Global article, "In March, Seattle was the fastest moving high-end market in the country, with homes flying off the market in about a month and a half. In sunny San Diego, which was fifth on the list, the typical high-end home sold in about 75 days; and in the home of country music, mansions in the Nashville-area, which ranked ninth, sold in a little over three months." 7513 55th Place NE, Seattle A modern treehouse, embraced by greenery and sited to take full advantage of the magical magical lake & mountain views! Contemporary architecture meets a cozy, livable home, the perfect retreat from the busy city life ~ yet so close to everything. Sold for $1,395,000. "In all aspects of my professional life, I run into folks who are exceptional in their given trade. Laura, is a true genius and outlier in real estate sales, marketing, and negotiations. Laura brought forward a team of experts including a designer to stage our home and get a price that exceeds our expectations. On the purchasing side, Laura found us a home that fit our family, expertly negotiated pricing and options on our behalf and saw us through all aspects of the sale of our home and purchase of a new property. Laura’s professionalism, poise, and approach are unmatched and we are indebted to her. We are loving our new home and would not be in this position without Laura’s help. 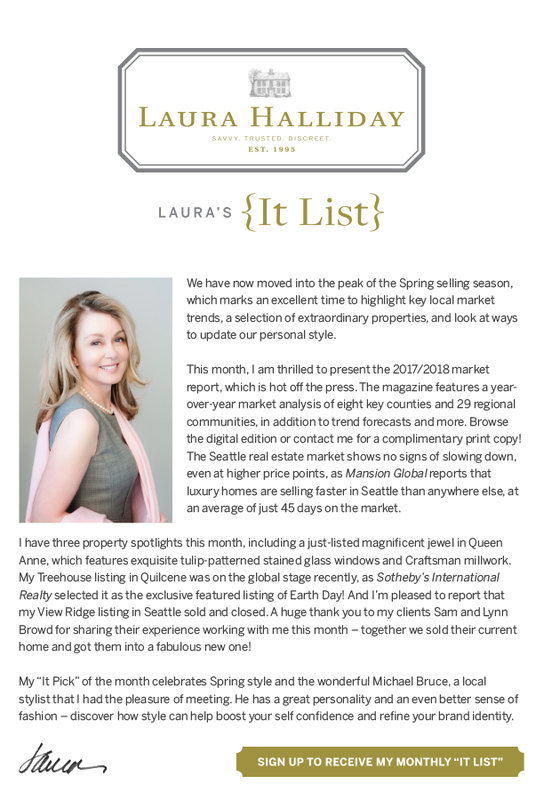 The Seattle market is so crazy right now you really need a true professional to help you navigate and strategize how to successfully buy and sell. If you don’t hire Laura you are selling yourself and your family short. He is the best in Seattle hands down. Thank you, Laura!" My “It Pick” for this month is local stylist, Michael Bruce, who I met at an event last year. I was so impressed by what he offers that I had to include him in my monthly newsletter! He is a great guy with a fun personality and a great sense of style and he helps you be a better YOU. Style is more relevant than people realize; it permeates every aspect of how we conduct our daily lives. Personal style makes a statement about who we are; but even more importantly, it conveys how we feel about who we are. 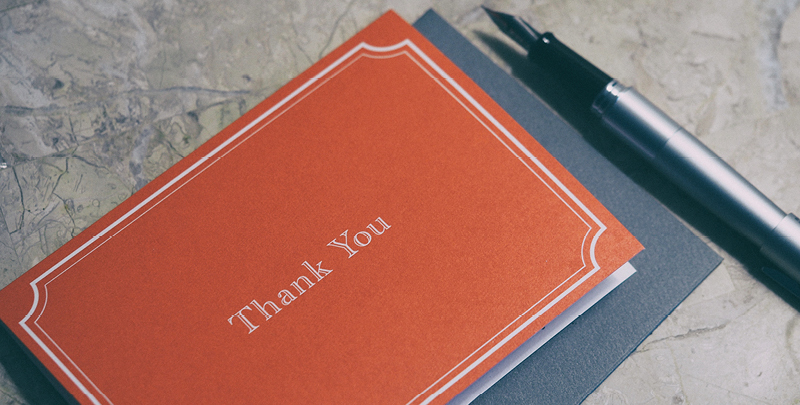 Professional style does the same, but it also conveys how successful we feel about what we do. 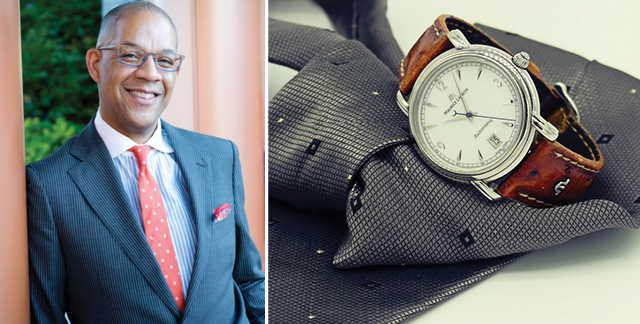 Personal and professional style combine to create a brand; it is Michael Bruce Image Consulting's job to help define your brand identity.